Today, following three days of frustration, resistance and short tempers, the inevitable happened, and ‘defeat’ reared its ugly head. 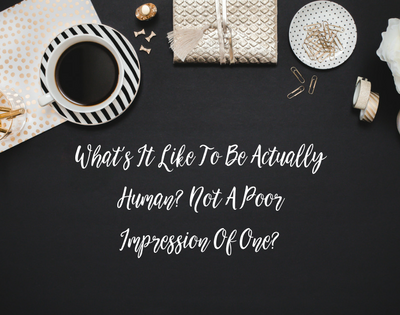 Greeted with more frustration, cries of anger, disbelief, and frantic journalling, I eventually consoled myself with the conclusion that this, as with everything in life, was a result of my own doing. My energy, my actions, my choices, my decision, my beliefs. And only I had the power to change it. Well I, and my amazing immediate support team… read Mum, Dad, Fiancé, and Life & Business Coach. My coach asked me what was the most loving thing I could do for myself today in order to allow this period to pass and wake tomorrow with fresh eyes. To which I replied (in total jest) to turn off my phone. I obviously had no intention of doing this. Six businesses, financial targets, a huge client list and following of over 11,000 people (who obviously couldn’t survive 24 hours without hearing from me… I mean seriously where did this self-sacrificial belief come from?! )… turning off my phone was just plain insanity. So I did the unspeakable. I turned off my phone. Well actually fate, or the Universe, turned off my phone, because as the tension began to rise in my throat and chest at just the mere thought of this idea, my phone battery died and I resigned myself to the powers that be. The Universe had spoken! To avoid temptation throughout the day, I locked my phone in the hotel safe so I wouldn’t even look at it and be tempted to pick it up and just hold it. ‘Just hold it’… I actually had that thought… seriously… I was hooked. My phone not only acted as a life line to my needy little world, it also became an adult pacifier. Pass me a dummy… this was way more than an addiction. What was life like without a smart phone glued to my hand? Erm… liberating, free, blissful, linear, enlightening, uplifting, inspiring, connected (the real kind of connection not the manufactured kind). And the best bit was that my clarity suddenly came flooding back to me. Without the influence of client energies, social media, constant pinging, harassment, haters, fans… and god knows what else comes through that blasted little screen, I could hear my own voice again. Loud and clear! I also detached myself from my watch for a day as I was beginning to become a little time obsessive. It was definitely the most freedom I’ve ever given myself. I ate when I was hungry, regardless of the time (because I didn’t have a clue), I slept when I was tired, I strolled along the beach, I finished reading my book (yes a whole book in one day because that’s actually possible without distractions). I became human again. A real whole human. Not a nervous wreck impression of a human with severe electronic dependencies. And listen, I LOVE technology. It facilitates me to serve people all over the globe, it truly is a wonderful thing. But as with all obsessions and addictions in life, it’s all far healthier when moderation is applied. So I’m a convert. This turning off phone and locking it away thing is something I’ve committed to doing regularly. At least one day a month, for 24 hours, no phone and no watch. No concept of time or responsibility. Just simply basically human for a day. How beautiful is that? Oh, and that thing that was frustrating the hell out of me that triggered all of this? Resolved itself whilst my phone was switched off. One could say ‘how ironic’, but I would say ‘how divine’. Surrender is another lesson in itself but I’ll save that for another day.